Enjoy Turkey travel photography and fall in love with Turkey tourism. 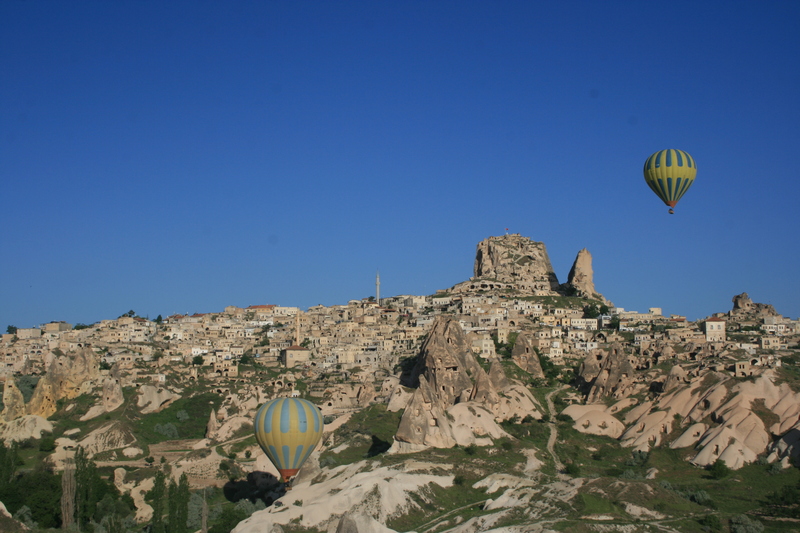 Visit Uchisar, Cappadocia. Uchisar is a spectacular place to take travel photographs. In our own balloon high above Uchisar, Cappadocia, we were able to see another balloon sweep low over the town, creating a striking image I’ll never forget. It just so happened to be another balloon with our same tour group.